Long one of the favorite attractions in Orlando, the Amazing Adventures of Spider-Man, languished at the woefully under attended Islands of Adventure (IOA) theme park. However, thanks to some deft wand work from Harry Potter, IOA is seeing huge crowds and money for attraction upgrades seems to be flowing. Spider-Man has just returned from a short down period where they installed a number of upgrades. 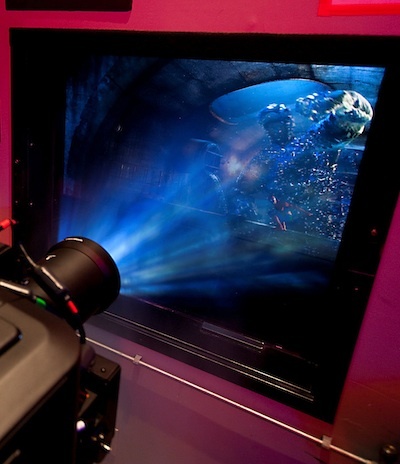 But the biggest, and most spectacular, is the new High Definition 3D Projection and accompanying new animation. 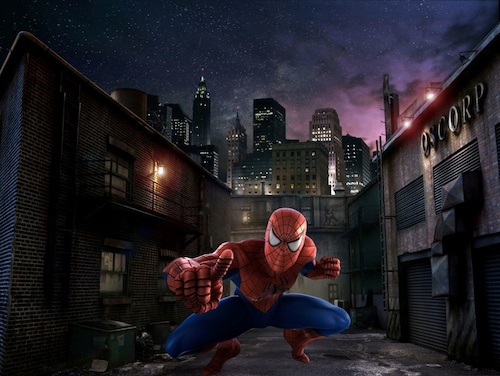 The attraction relies giant screens and a mix of real world sets to make the each guest feel like they’re in the movie with the web-slinger as he saves you from an assortment of baddies. The attraction still suffers from its abrupt start and sometimes out of sync special effects, but all in all it remains one of Orlando’s best and, with these revisions, might again vie for best attraction overall (it’s close cousin Harry Potter and the Forbidden Journey is tough competition). Of course, there remains the oddity that Disney now owns the Marvel brand, and yet Universal Orlando has the rights to 12 or so of the main Marvel characters in Orlando. It seems obvious Univeral has no intention of letting Disney get back these rights anytime soon. But I have to wonder if Disney’s lawyers aren’t working ferociously somewhere to route around that. A very short ceremony was held to mark the attractions return to operations. As they reanimated the attraction film, the creative team added hundreds of new details and effects. Guests will see moss swaying in the wind, rats scurrying through the streets and hear electricity arching so close it will raise the hair on the back of their necks. And for the first time ever, Spider-Man co-creator Stan Lee will make a cameo appearance inside the attraction. Lee was meticulously animated in 3-D and placed in more than one scene inside the new animation. This morning Universal Orlando announced that Spider-Man at Islands of Adventure will be re-animated using 4K digital HD. The 3D projection system will be by Infitec. They will even add some enhancements to the film – perhaps we should expect some additional inside jokes? The big announcement was that a 3D attraction will replace the Jimmy Neutron simulator in Universal Studios-Florida. Using the same 3D technology as the new Spider-Man, this attraction will transform audiences into minions. We will start in Gru’s house and be taken to his lab. As Mark Woodbury, President of Universal Creative, puts it, the end will be a “one of a kind celebration, where you show off your best moves as part of a minion dance party.” How many minions will there be? Lots and lots and lots – over one million! 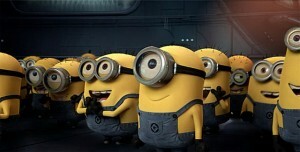 Despicable Me will be open in 2012.